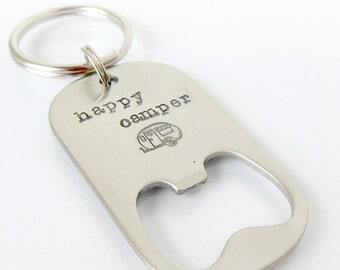 I love these stainless steel bottle openers! 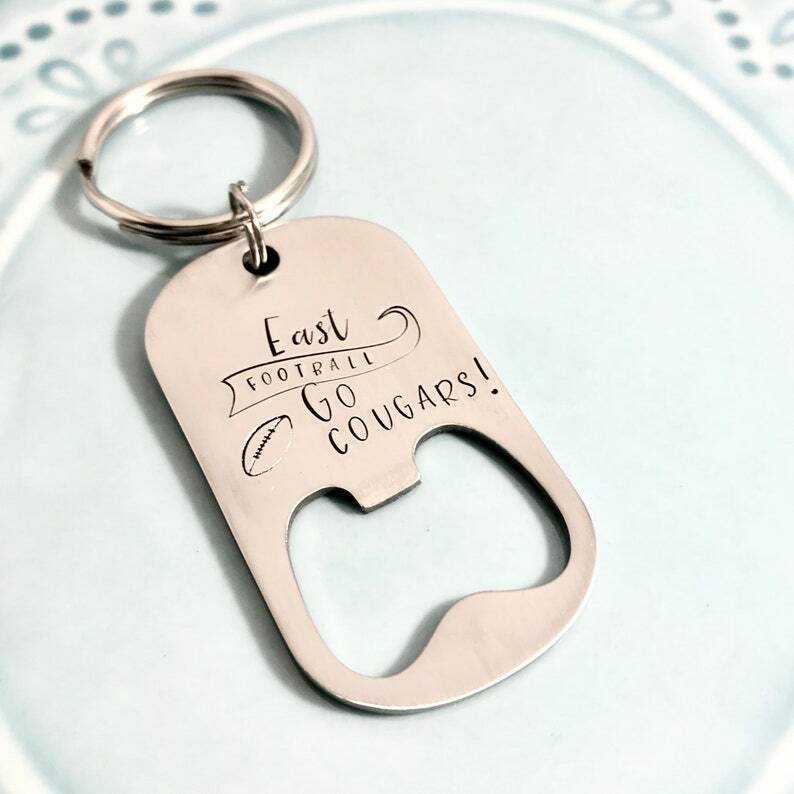 It makes a great gift for a guy or for that person that is hard to buy for... This particular one has my exclusive sport swoosh design. You can choose to have your team and sport, your team and city, or any other combination that will fit. The opener measures approximately 1 1/4" wide by 2 1/8" long without the keyring. It is 2mm thick stainless steel that will hold up to years and years of use.